For Tima Kurdi, trying to make a life in Canada has been like her many attempts to grow jasmine in her Vancouver garden: One can grow in foreign soil, but the scent of life isn't quite the same. Her roots are in Syria, which her family was forced to leave amid years of civil war – sometimes with deadly and heartbreaking results. Tima Kurdi is the author of The Boy on the Beach: My Family’s Escape from Syria and Our Hope for a New Home, from which this essay is adapted. I have made many attempts to grow jasmine – yasmin – in my garden in Vancouver, but the flowers never give off much of a scent. My father even shipped me a bulb from my birthplace of Damascus, which all the locals simply call Sham. In the spring, I planted that bulb in the garden and it blossomed that summer, but you had to stick your nose right inside the petals to get a subtle whiff of its hypnotic scent. That bulb survived away from home soil for one winter, but it didn’t survive the next. I was safe in Canada, where I’d lived since 1992, when half a world away, my family was forced to leave their homeland after war erupted in Syria in 2011. Like that jasmine bulb, they had to grow new roots in foreign soil. And the conditions they had to survive in were far from ideal. Whenever my family talks about the tragedy, we always say, “Tinziker wama tinaad. To be remembered, but not to repeat.” History is meant to be remembered but not repeated. Unfortunately, history does tend to repeat itself. Wars continue, making more tragedy inevitable. What is it about us that we keep repeating the same mistakes over and over and over? I know I must sound pessimistic, but when tragedy strikes, it’s hard to tame the fear that life could become even worse, no matter how much you fight off these dark thoughts. Recently, I’ve allowed myself to think that maybe the war can also change us for the better. We can’t rewrite history, no matter how much we want to. But we can find a new purpose in life. Before the war, I was an average, middle-class, middle-aged suburban woman – a mother, a wife and a hairdresser who loved to cook, socialize with friends and travel to interesting places. When terrible things happened to other people, I empathized with them. But I didn’t understand them the way I do now. I would write a cheque to support a charity, donate to food banks and do all the things that are easy. Then I would go right back to living my life. After the war, and especially after the tragedy, I changed. In April, 2011, I returned to Damascus to visit my relatives, as I had done regularly since leaving the country when I was 22 years old. Life on the streets of Damascus seemed just as it always had, even though there had been protests against the government of Bashar al-Assad. In Daraa, a group of teenagers were imprisoned for spray-painting anti-regime messages. There were reports that some police officers and protesters had been killed. By the time I arrived in Sham in April, the protests had spread to Latakia, Homs and Hama. Initial calls for democracy and freedom were soon replaced by calls to overthrow the government. On TV, we watched coverage of these protests. “What do the people want?” I asked my dad. April 17, 2011: Boys hold a banner during a demonstration in the the Syrian port city of Banias. As with so much else during those early days, and ever since, it was hard to know who to believe. Information from the many news sources varied so much, it was like reading the coffee grounds: the analysis depended on the viewpoint. Some protesters wanted economic reform. Others wanted political reform and democratic elections. Maybe another factor was the growing number of university-educated young adults who craved the freedoms of the West, and all this fervour was stoked by the Arab Spring that had swept Tunisia and Egypt in early 2011. We were shocked when the protests erupted into greater violence so quickly and they spread like a sandstorm. Had citizens suddenly turned against each other? Or was this the fault of a small number of extremists on both sides of the growing divide? Foreign instigators? And what part did international powers play in these early days and months of the uprising? When my family discussed the political climate, the consensus was that nobody wanted our peaceful country to dissolve into sectarian violence. We all worried that such violence would turn back the clock of progress. Before I left for Sham, my husband, Rocco, had registered me with the Canadian embassy. I thought he was just being unduly cautious, so it was a surprise when the embassy called in the midst of my trip and advised me to leave. With the streets of Sham so peaceful, it was hard to take their warning seriously. July 24, 2012: A man and girl walk past destroyed vehicles in Damascus. By the middle of July, 2012, more than one million Syrians had to flee their homes. The most feasible option for the displaced was to seek refuge in less dangerous areas within Syria. But too many regions had become dangerous, with hundreds of different rebel groups assuming control of cities, towns and villages, and fighting against Mr. al-Assad’s military forces. Some of these regions were called “liberated,” meaning liberated from the regime. More often, it meant being liberated from food, water, electricity, schools, hospitals and safe shelter. And if you happened to be a woman and your town had instituted ISIS’s laws around proper dress, you were “liberated” from the freedom to leave your house without a khimar and an abaya, the face-covering veil and ankle-length robe. If you were Shia, Alawite, Kurdish, Armenian – name any ethnic or religious sect – you were “liberated” from the right to exist in your own country, unless you disowned your heritage and your beliefs. And if you were a Sunni Muslim who believed in secularism and ethnic and religious tolerance, you had to “liberate” yourself from liberal ideals. Syrian citizens were caught in the middle of a civil war, which meant they had to pick a side or leave the country altogether. Many families fled to the border countries, including Lebanon to the west and Jordan in the south, or to the northern countries of Turkey and the Kurdish republic of Kurdistan to the northeast. All these countries had created refugee camps near border towns, though many families had to go to the big cities of Beirut and Istanbul to find work. When people started trickling into Lebanon and Turkey, they were not given legal work permits and so they had to make a living in the underground economy, which made life very difficult. Abdullah Kurdi, Alan Kurdi's father, returns to the Syrian town of Kobani in October, 2015, forty days after the tragedy that claimed his son's life in a sea crossing from Turkey to Greece. 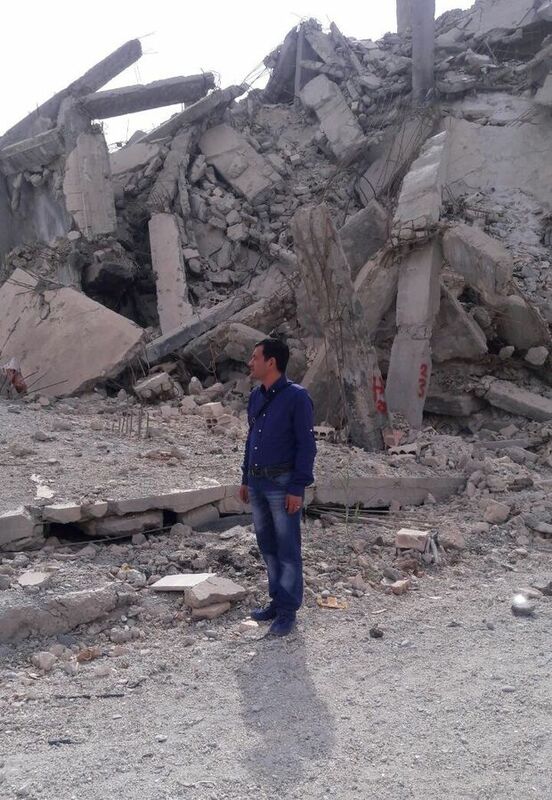 Here, he is standing in front of the remains of his neighbour’s home. My brother Abdullah lived in Kobani, but he continued to commute to Sham for work. It was no easy task. The highway from Aleppo to Damascus straddled many territories under the control of various different rebel groups. One day, Abdullah was returning from Sham to Kobani. He was near Aleppo, inching ever closer to his home, when a group of long-bearded men seized him. “You are a Kurd, and all Kurds are kafreen,” they yelled, meaning, “You are not true Muslims.” They spoke Arabic with the accents of foreigners. Abdullah recounted that they got even angrier when they saw that he had a pack of cigarettes, which they considered haram, forbidden. Then they accused him of being a peshmerga fighter. But they didn’t believe him. They dragged him to a nearby house that appeared abandoned. They took him to a room where four captive men dangled from ropes like sides of beef. They tied Abdullah up the same way. From the other rooms, he could hear men whimpering or outright screaming in pain. The air was thick with the smell of sweat, urine and blood, so intense that Abdullah started to vomit. Periodically, men would appear to beat and torture him: for being Kurdish, for having haram cigarettes, even for daring to fall asleep. After many days of beatings, Abdullah began to wonder if he’d ever see his family again. After more than a week of this torture, the terrorists entered the room armed with pliers. They held open Abdullah’s mouth and yanked out his teeth, one by one. It was so painful that Abdullah passed out at some point, flickering in and out of consciousness throughout the ordeal. When they finally finished, they left my brother with only the stumps of a few deeply rooted molars. He was living in a horror movie; no civil human being can even imagine it. Soon after, the terrorists concluded they had the wrong man. They threw him out and threatened that if he told anyone what had happened, they’d come after him and his loved ones. It was the middle of the night. Abdullah stumbled down the road, walking for many hours, until a vehicle appeared. The plainclothes civilian inside took pity on him and drove him close to Kobani. When his wife, Rehanna saw him, she screamed. “Shush,” he whispered. Abdullah was so traumatized that he didn’t dare tell anyone what had happened, except for close family – myself included. He was deeply scarred but relieved to be alive and back home. He got antibiotics from a doctor, but he couldn’t afford a dentist. His remaining broken teeth were useless; he often swallowed his food whole. His mouth was a festering wound and the abscesses were hard to clear up. He lost so much weight that he looked like a skeleton. Still, Abdullah’s mind remained entirely preoccupied with finding work to put food on his family’s table. He would never commute from Sham to Kobani again. So he decided to leave his family behind and go to Turkey. January, 2013: Syrian refugees wait to cross the border to Turkey at Bab El-Hawa on the outskirts of Idlib. Refugee camps in Turkey and Jordan held hundreds of thousands of Syrians by early 2013, in overcrowded and sometimes unsanitary conditions. By March of 2013, the overall registered Syrian refugee count had reached 1.1 million. (That’s equivalent to the entire population of Sham when I was a girl.) But that number is likely an underestimate. If Syrians didn’t have a valid passport to enter another country legally or they didn’t cross through official borders, which was typical at the border with Turkey, they weren’t counted. The refugee camps in Turkey, Jordan, Egypt and Kurdistan had taken in more than 400,000 Syrians. The camps offered basic survival, but many could not keep up with the steady flow of new arrivals. Some camps had inadequate sanitation and health care and were teaming with diseases and deadly parasites. The camp refugees also suffered from the invisible wounds of psychological trauma, from the stresses of living through warfare, to the indignities and humiliation that comes with being displaced. Registered refugees couldn’t work; their movements in and out of the camps were restricted or disallowed altogether. At first, Abdullah worked in Turkish towns near the border with Syria, doing whatever jobs he could find, like working at a warehouse and unloading produce from trucks. His body was still weak and his mouth was in a terrible state, but he tried his best to send money home to his family. He wasn’t the only one facing challenges: There were many Syrians looking for work and many employers looking to exploit them. The typical wage was $7.50 a day. When Abdullah could no longer find work in the border towns, he went to Istanbul, a one-day journey by bus from the border. There he picked up odd jobs in construction, sharing the rent on one room with 10 other men, most of them Kurdish refugees who were also commuting between northern Syria and their jobs in Turkey. Abdullah tried to return home at least once every few months, and whenever any of the other refugees returned to Kobani, he sent money and food and whatever else he could scrape together for his family. He reunited with Rehanna and their sons, Ghalib and Alan, in Istanbul in the fall of 2014. Their life in Turkey wasn’t sustainable, but they couldn’t return home, either – they were stuck between a rock and a hard place. Eventually, they made the impossible choice to try the perilous sea crossing to Greece. Aug. 18, 2015: Migrants leave the shore of Bodrum, southwestern Turkey, aboard a boat bound for the Greek island of Kos. Separated from Bodrum by only a short stretch of water, Kos had seen a huge influx of refugees escaping the civil war in Syria and chaos in Afghanistan since the beginning of that year. My brother was standing on Turkish soil and looking at Kos, a large, soft-shouldered Greek island on the horizon. During the day, Kos was a mirage in the middle distance. At night it twinkled with life and seemed close enough to touch. For thousands of Syrian refugees during the summer of 2015, that island shimmering across the sea was their touchstone, their last hope for a better future. “One hundred per cent, the smuggler said, we’ll go tomorrow,” Abdullah texted me. “Talk to Dad before you leave,” I texted back. Thunderstorms rolled in and out, pushed by high winds of as much as 80 kilometres an hour, delaying their departure. A few days passed. Aug. 9: “Leaving tonight.” But there were more thunderstorms and gusty winds. “Did you lose your money?” I texted. It was impossible not to worry. Each time Abdullah texted, “We’re leaving tonight,” I held my breath. There is a 10-hour time difference between Turkey and my home in Vancouver, and I got into the habit of going to sleep early so that I could wake up before dawn to check my cellphone. But my husband had to keep regular working hours, and so, to preserve his sanity, I left my cellphone in the kitchen every night. Every morning, the butterflies knocking in my stomach would wake me up and I would rush to the kitchen for my phone. Every day for a month, each time that phone made a peep, my heart threw a fit. My brother was only four kilometres from the shores of Kos, so close and yet so far. He was living in Bodrum, Turkey. He and his family had survived many hardships in Istanbul as poor illegal immigrants, barely able to keep themselves fed and housed. They had endured the callous indifference of the many governments that had closed their doors to them. Turkey now offered the closest available corridor to Greece, the only country in the region from which refugees could get to the few Northern European countries accepting Syrian refugees. Countries where life was a bit better. In Germany and Sweden, for instance, refugees were offered legal asylum and resettlement, something Turkey and many other neighbouring countries in the Middle East did not provide. And refugee children could go to school, something they could not do in Turkey. But reaching that Greek island was no easy feat. First, Abdullah had to get Rehanna, Ghalib and Alan across the Aegean Sea, across a patch of the Mediterranean monitored by police and coast guard officials ready to turn the refugees back to the shore. This was a stretch of sea known for its late summer winds, which can materialize in an instant and blow for days, turning the water into a rabid beast. Abdullah had to believe that he could get his family safely across that passage. They had already crossed vast swaths of dangerous terrain to reach Turkey. Surely they could make it across four more kilometres to find hope for a new life on the other side. To make that crossing, Abdullah had to trust smugglers. His family could not make the crossing legally via the many large ferries that criss-cross the sea, because the Turkish authorities required valid documentation to exit the country, and legal entry to the majority of European countries, including Greece, required valid passports and visas, with a long list of backup material that only wealthy Syrians could provide – bank statements, insurance, passport photos. Abdullah, like most refugees, had a passport, but after so many years of war, it had expired; his wife and young sons had never had passports. The smugglers provided space on boats, for a fee. But even the highest amounts didn’t satisfy the smugglers’ greed and they typically overloaded the boats far beyond safe capacity for maximum profit. That year, close to one million refugees had arrived in Europe by sea and the lion’s share of those desperate souls were Syrians landing in Greece. By June, the Greek coast guard had rescued almost 50,000 people, but thousands more drowned in the Mediterranean. As many as one in four of them were children, the majority under the age of 12. Five per cent were infants. July, 2015: Abdullah Kurdi stands with sons Alan, left, and Ghalib in front of their house in Istanbul. My nephew Ghalib had recently turned four and his little brother, Alan, was just 27 months old when their desperate parents took that perilous journey on a raft to seek a better life. You must be wondering, “What could possibly compel refugees to make that dangerous crossing, risking their lives and those of their children?” It may be impossible to comprehend unless you’ve lived the life of a refugee. At that time, four of my five siblings and their families had escaped to Turkey, barely able to keep their young families afloat. By the summer of 2015, with the Syrian war in its fifth year and no end in sight, their situations had become more desperate. Many of my siblings, my nieces and nephews, my cousins and other relatives were poised to risk that crossing; a few of them had already made it all the way to Germany and Sweden, where conditions were better. All my siblings had young children, and with no access to school, the kids were falling behind; many of my teenaged nieces and nephews had to work in Turkish sweatshops to help their parents make ends meet. Abdullah did not want the same fate for his two boys. His hopes for them were simple – adequate food and shelter, education and health care – but fulfilling those basic needs was impossible in Syria and beyond challenging in Turkey. I knew all too well the kind of life that my brothers and sisters had endured since their families had been forced to flee Damascus in 2012. I had seen for myself their destitute living situation in Istanbul when I visited in 2014. During that trip, I began to see the world through a refugee’s eyes. You are there, wherever you happen to be, but you can’t shake the feeling that life is going on without you. That you are a ghost among the living. We discovered that Istanbul has throngs of laughing doves just like Sham. They congregate in Taksim Square and people love to feed them. 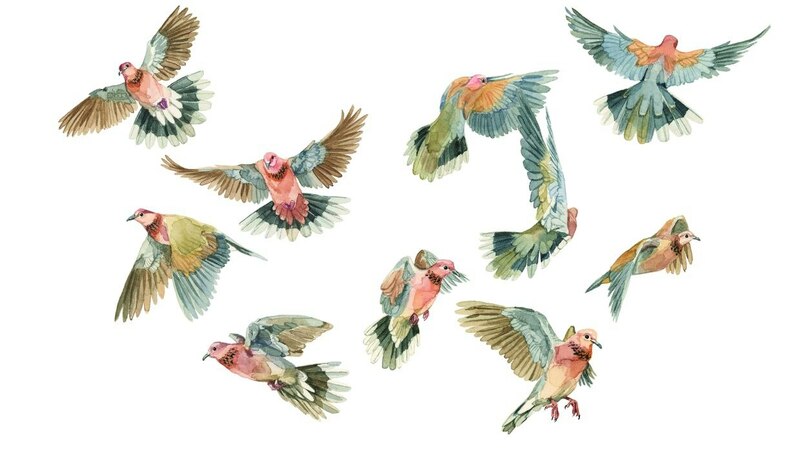 But I felt as if I were looking at those birds through a telescope, as though I were far away. I learned that this estranged state of mind is common to refugees. Everywhere I went, I talked to Syrians living on the streets and in the parks. Sometimes their children had to beg for food or sell tissues or sing to the crowds to earn a few coins. Syrian refugees had the same struggles in Lebanon, Jordan, Egypt – everywhere. It wasn’t the exclusive fault of Istanbul or the country of Turkey and its many fine citizens. The government had many pressing concerns of its own. The people of Turkey, like the citizens of any country, had their own lives to worry about first and foremost. They didn’t write the restrictive laws concerning asylum seekers and they were also adversely impacted in many ways by the huge flood of refugees. Despite that, many people were very kind to my siblings. That summer, more than seven million Syrians were displaced within Syria and the number of Syrian refugees living outside their home country surpassed four million, making the Syrian crisis officially the worst refugee crisis since the Second World War. Half of those refugees were living in Turkey. In Istanbul, my family heard rumours from other Syrian refugees that the Turkish government might be planning to build a refugee camp on the Syrian side of the border or that they might even send refugees back into Syria. Maybe those were paranoid rumours, but with all the fighting going on in Syria and along the border with Turkey, refugees were very scared; no safe harbour seemed within reach. Nov. 11, 2014: Syrian Kurdish refugees gather around a fire at a refugee camp in Suruc, in Turkey's Sanliurfa province. The refugees were victims of terrorism and global geopolitics, yet they were increasingly viewed with the same suspicion and hostility as the terrorists they had barely managed to escape. In such a climate of fear and uncertainty, more of my relatives began to talk about the possibility of fleeing to Germany via the Greek islands. After all, my older brother Mohammad had made it, and while his life at a refugee shelter was very difficult, it held the promise of a legal resettlement and a better future for his family. My trip to Turkey changed me. As soon as I returned home in late September, 2014, my first priority was to attempt to get my siblings asylum in Canada. But to do that, I would have to navigate the bewildering bureaucratic asylum-seeking process. The Canadian government had granted asylum to only 1,002 Syrian refugees since July, 2013. Prime Minister Stephen Harper had a vague plan to allow about 11,000 Syrians to seek asylum in Canada over the next few years. Despite these plans, the Harper government had what seemed to me an indifferent attitude to their plight. I would have liked to rescue all my siblings from their dismal lives. But the majority of refugees that were granted asylum in Canada came from private sponsorships from citizens, which cost $28,000 for just one family of six. The government rarely funded refugees, and even with private sponsorships, approval by the Canadian government also required approval from the Turkish government and the UNHCR, which involved intensive, slow vetting. We couldn’t possibly afford to sponsor all five families by ourselves. At first I went through official channels, trying to provide them a safe harbour in Canada. My husband and I had committed to privately sponsoring my eldest brother Mohammad’s family and we had also started collecting the application paperwork for Abdullah’s sponsorship. But my attempts failed. I couldn’t get all the paperwork needed – it was impossible to get documents from a country destroyed by war – and the price of two private applications at once was just too much. By the summer of 2015, I had given up hope of Canadian asylum for Abdullah and his family. I decided to give him $5,000 to pay the smuggler’s demand for him, his wife and my two little nephews. Of course, I had many, many doubts about whether I should do this. But in times of such abject desperation, knowing that my family was already in such danger, I decided to pay for the journey. There isn’t a day that goes by when I wish I hadn’t. Visiting Istanbul in 2014, Tima Kurdi discovered laughing doves massing in Taksim Square, just like the ones back in Damascus. But seeing Istanbul's daily life through a refugee's eyes was a strange and detached experience for her, like being "a ghost among the living." 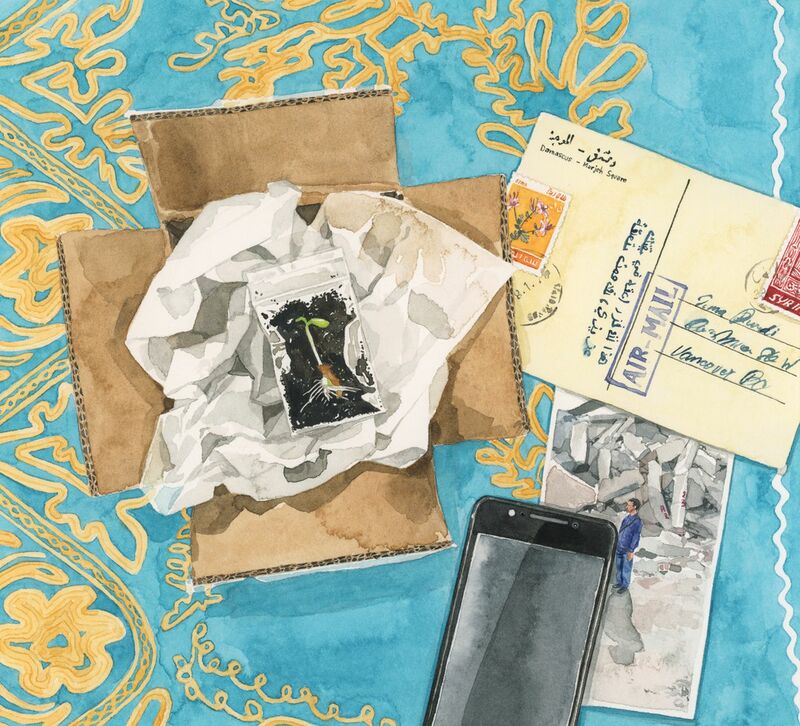 At the end of July, Abdullah texted me from Istanbul: "I got the money. Your friends are nice people." He had received the last chunk of the smuggler's fee. The next day, he and his family departed for Izmir, a port city about halfway between Istanbul and Bodrum and a hub for refugees to meet smugglers. The refugees were easy to find. Thousands of them camped overnight in parks. And they would often shared their smuggler contacts. Abdullah secured a smuggler in Izmir. Abdullah and Rehanna were petrified by the thought of getting on a dinghy; they wanted a sturdy fibre-glass boat, but the smuggler repeatedly told him they couldn't afford that. I remember every call he made to me, every message he left me during this time. I still have every text he sent. That long chain of messages provides a record of the events that transpired. It is also a testament to the human condition under extreme pressure, to our hopes and fears, to our many nagging doubts and anxieties – about the impending voyage and so much more than that, going right back to our earliest memories of ourselves. As the days inched by and Abdullah refused to take a rubber dinghy, my anxiety turned to frustration, and I pushed him to just make the journey or call it quits and return to Istanbul. Later, reading back through my texts, I could hear the voice of a nagging older sister, prodding her younger brother: stay put, turn back, be more cautious, be less cautious, just get it done. I put so much pressure on Abdullah that he sent me a video of the sea. Those big waves filled me with dread. All my messages were sent to the bottom of the Mediterranean Sea. Sept. 2, 2015: A Turkish paramilitary police officer investigates the scene before carrying Alan Kurdi's lifeless body from the seashore near Bodrum. 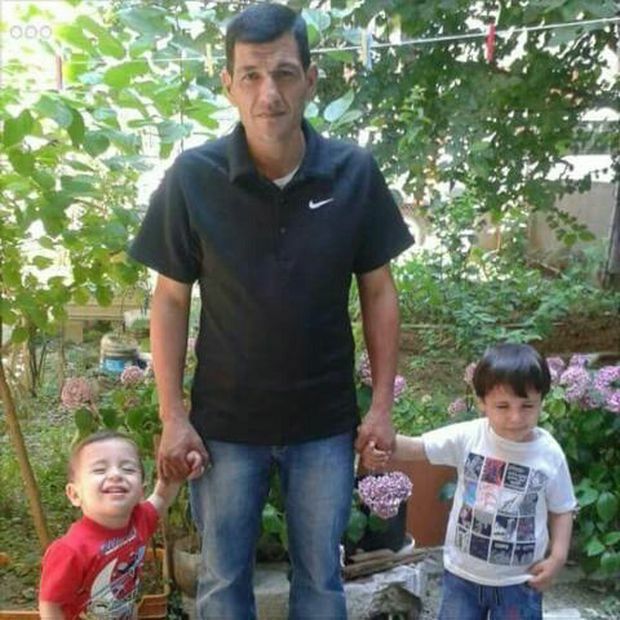 Alan, Ghalib and Rehanna Kurdi were killed when their boat capsized on the journey to Kos. Images of Alan's death captured public opinion around the world about the human cost of the Syrian refugee crisis. Abdullah and Tima Kurdi went on to create the Kurdi Foundation to provide for children living in refugee camps. From The Boy on the Beach by Tima Kurdi. Copyright © 2018 by Tima Kurdi. Reprinted by permission of Simon & Schuster Canada, a Division of Simon & Schuster, Inc.